For all hitchhiker’s and fans of Douglas Adams, the author of the ‘Hitchhiker’s Guide to the Galaxy’ we have the right companion for your life, the Universe and Everything. 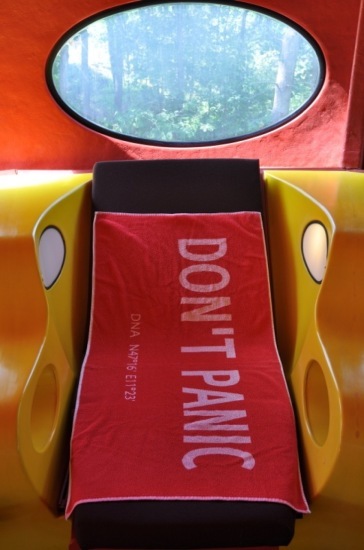 A beautiful bath towel, with the smart advice: DON’T PANIC. Shipping worldwide – Even Lenin got one. Posted by Uli Schuster at 12:03 am on December 1st, 2018. Categories: Don't Panic, English. 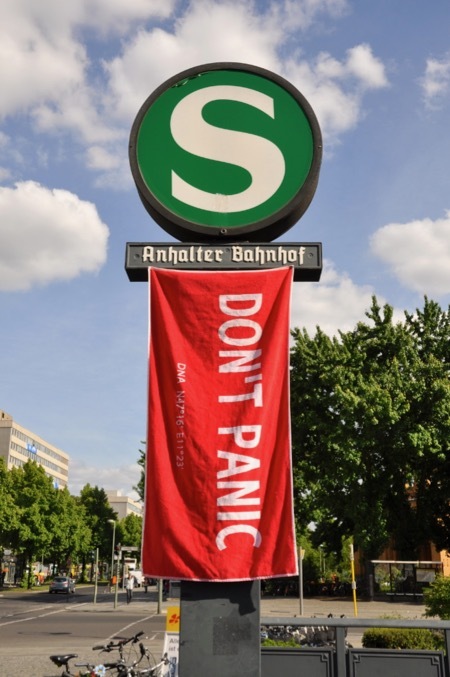 Tags: Don't Panic Towel, Douglas Adams, h2g2, Towel.